Hey, we have something new from Sony Legacy! 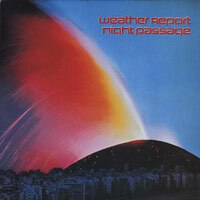 I know that Peter Erskine has long had an interest in seeing some of this material get released. 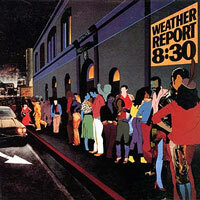 Thanks to Tony Zawinul’s efforts, representing the Zawinul Estate, to get Sony on board, there’s a treasure trove of previously unreleased live music in store for us Weather Report fans. 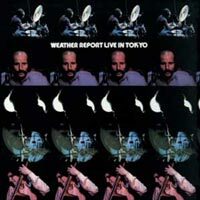 The Legendary Live Tapes: 1978-1981 is a four-CD set of live recordings of the Jaco-Erskine band, primarily culled from soundboard recordings by Weather Report’s live sound engineer, Brian Risner. It’s due for release on November 20, but you can pre-order it on Amazon here. 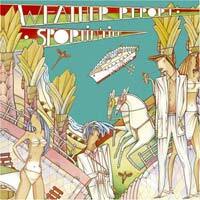 Weather Report’s The Legendary Live Tapes features four discs of sensational unreleased performances all “completely, totally, unapologetically and insanely live” recorded by the legendary jazz group from 1978 to 1981. 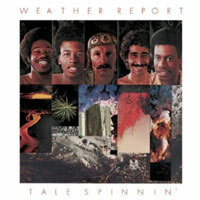 Formed by one-time Miles Davis sidemen Joe Zawinul and Wayne Shorter in 1970, Weather Report defied categorization in the 15 years they recorded together. 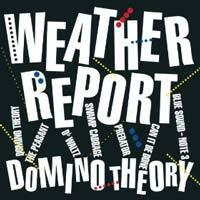 Inspired by their “electric” collaborations with Davis, Zawinul and Shorter would lead Weather Report into unpredictable territory, from free-jazz to structured but sprawling multicultural jazz-rock. Though Zawinul would reject the “fusion” genre the band are so often associated with “We don’t fuse nuthin’, we just play from the heart,” he once said their music would serve as a landmark for jazz revolution and evolution in the 1970s and 1980s. 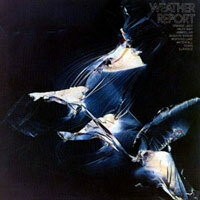 The dramatic addition of electric bass virtuoso Jaco Pastorius to the lineup in 1976 led to an even more energetic and daring Weather Report, who would even score a crossover hit in 1977 with “Birdland.” A year later, drummer Peter Erskine joined the fold, creating one of the band’s most notable lineups; that lineup would expand to a quintet with the addition of percussionist Bobby Thomas, Jr. in 1980. 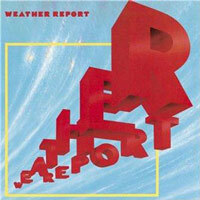 These two lineups, responsible for some of Weather Report’s most important moments, are chronicled in this four-disc set, sourced from never-before-heard soundboard tapes recorded by longtime live mixing engineer Brian Risner. 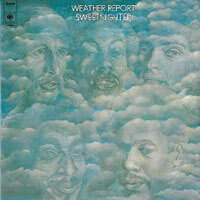 Produced by Erskine and executive produced by Joe Zawinul’s son Anthony, this package uniquely showcases Weather Report’s extensive prowess as a band, opting not to replicate the ebb and flow of a standard Weather Report set at the time, instead offering a uniquely curated experience that captures the dazzling directions the group took at the arguable height of their powers. 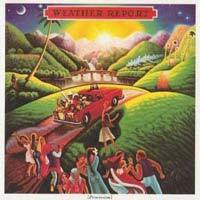 This entry was posted in Jaco Pastorius, Music, Peter Erskine, Weather Report on October 14, 2015 by curt. Peter Erskine has written a gem of a new book. 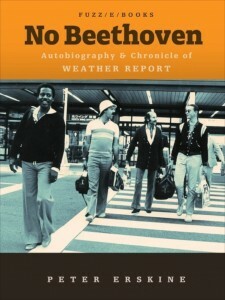 No Beethoven is his autobiography and “chronicle of Weather Report,” which he has published as an ebook, available from iTunes for the iPad. 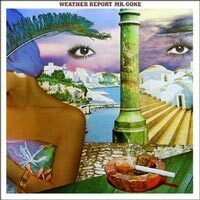 It’s a must-read for Weather Report and Zawinul fans, standing shoulder-to-shoulder with the existing biographies of Wayne, Joe and Jaco. The book is packed with Peter’s stories and behind-the-scene anecdotes about the band, Joe, Wayne and Jaco — not to mention tons of photos. Those stories are artfully interspersed with Peter’s narrative of his own life. As he recounts in the early chapters, he took to drumming at an early age and was something of a child prodigy, gaining admission to the Stan Kenton summer jazz camp at the age of seven despite the 14-year minimum age requirement. By the time he was 18, he was on the road with the Kenton Orchestra. Three years later, he quit to go back to school, but that was short-lived as a summer tour with Maynard Ferguson wound up turning into two years. 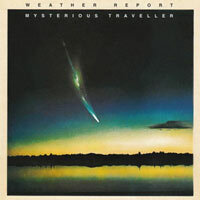 It was with Maynard that Jaco first heard Peter, and that encounter ultimately lead to Erskine joining Weather Report in the summer of 1978. At the time, they were finishing up the recording of Mr. Gone and getting ready for a tour of Japan. Erskine recounts in detail his first rehearsal with the band, Joe’s band rules (which really only consisted of one rule); his participation on Mr. Gone; and his “homework,” which consisted of book reading. Peter’s relationship with Joe is a central theme throughout No Beethoven, and his insights into Zawinul’s personality are priceless. There are other books about Joe — Brian Glasser’s In A Silent Way being the obvious one — but No Beethoven offers a more personal take, one that gives us a more human portrayal of Joe than we’ve seen elsewhere. As Peter says in the book, “[Joe] was gruff and he could be rough as well as scatological and hyperbolic in the extreme. He was also a sweet and very funny man. Easily the most intense musician I’ve ever know.” All of that comes through in Erskine’s telling. 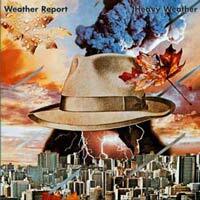 Having said all that, this is much more than a book about Weather Report. 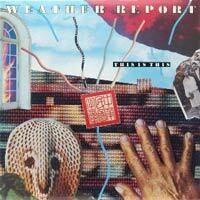 I must admit that when I first got it, I scanned through the pages looking for the Weather Report stuff. But I wound up going back and reading it from start to finish and thoroughly enjoyed it. 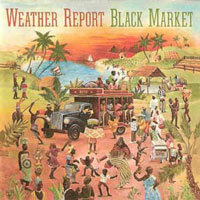 Peter’s writing style is engaging and along the way he imparts pearls of wisdom about being a musician and about life. There’s plenty of material about Stan Kenton, Maynard Ferguson, Steps Ahead, and the many great musicians Peter has worked with over the years. No Beethoven will eventually be available for the Kindle, Nook and Sony e-readers. German and Japanese translations are also in the works, as well as a CD-ROM version of the book to be released in Japan later this year. But for now, owners of iPads have a treat in store for them. 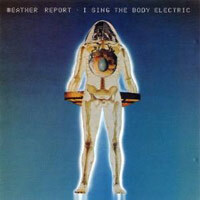 This entry was posted in Books, Jaco Pastorius, Joe Zawinul, Peter Erskine, Wayne Shorter, Weather Report and tagged "No Beethoven", "Peter Erskine" on April 8, 2013 by curt.